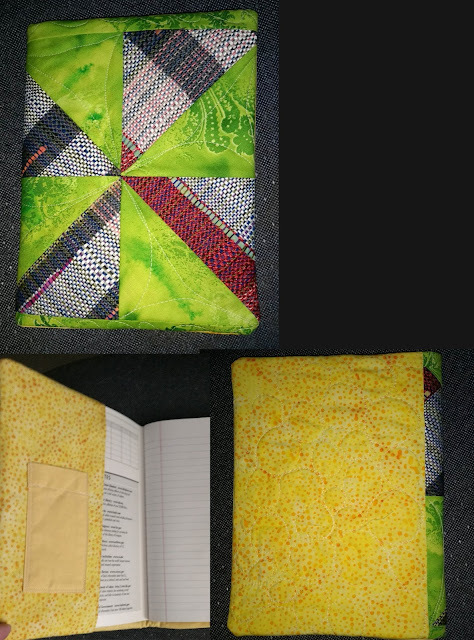 After a great rehearsal last night and a trip to take Mom to the doctor this morning for her appointment, I sat and made this Quilted Notebook cover. 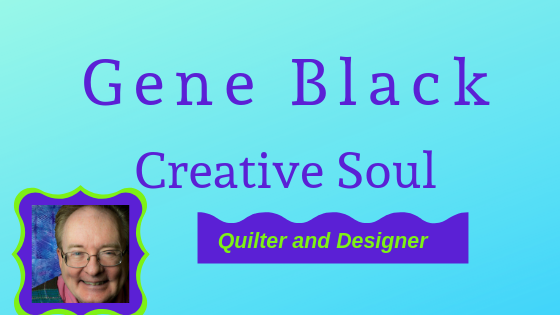 For the front cover, I used a piece of patchwork that I had made with quilting fabric and some of my handwoven fabric. I also added a pocket inside the front cover for pens or pencils. The effect of the handwoven fabric in patchwork piecing really makes my heart sing. This will go in my "stash" for the November sale at church. I hope someone loves it enough to buy it. The great part about these is that they are easily refilled with a standard composition notebook. So it is usable for a very long time. I have ordered some labels for my small pieces - as soon as they arrive I will want to add one to this notebook cover. Take care, my friends. I need to get back to studying the music and choreography for the show. You are making some unique and attractive notebook covers. The woven fabric really makes this one stand out. Good luck with your practicing and also with the upcoming sale. Looks really great. Label is a perfect touch to add. Good luck with the production! I've been thinking about trying to make a notebook cover as a gift for a writer friend of mine. Yours turned out well. Including your handwoven fabric really makes the piece sing!